A slightly different post from my normal ones, but something I love all the same. Graffiti is a little bit like Marmite, you either love it or hate it. In London you cannot escape travelling around the city and every few minutes seeing Graffiti. For a London city dweller it is part of life. You can find graffiti in the most creative of places. Above is a picture of a phone junction box. The below graffiti art has been used to cunningly hide scaffolding. 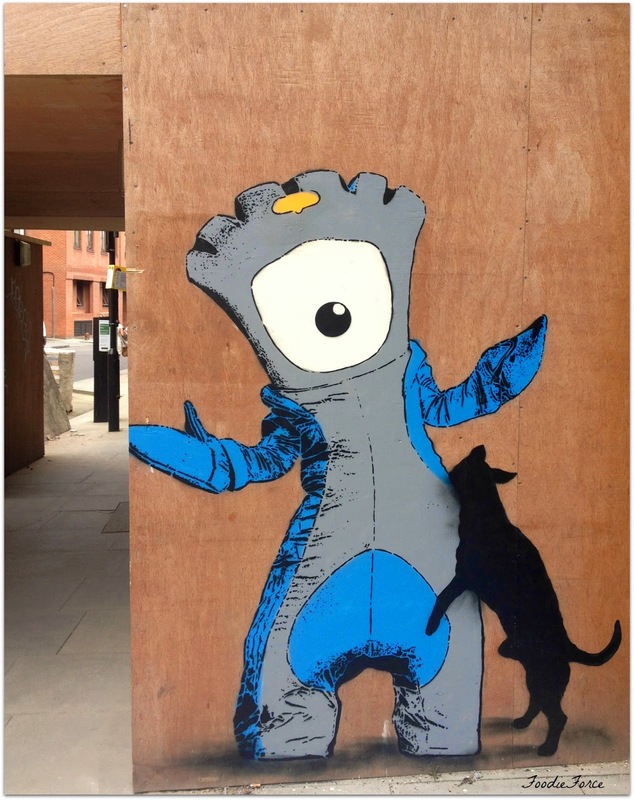 The strange looking character below was the London 2012 Olympic mascot (yes I don't get the design either!). 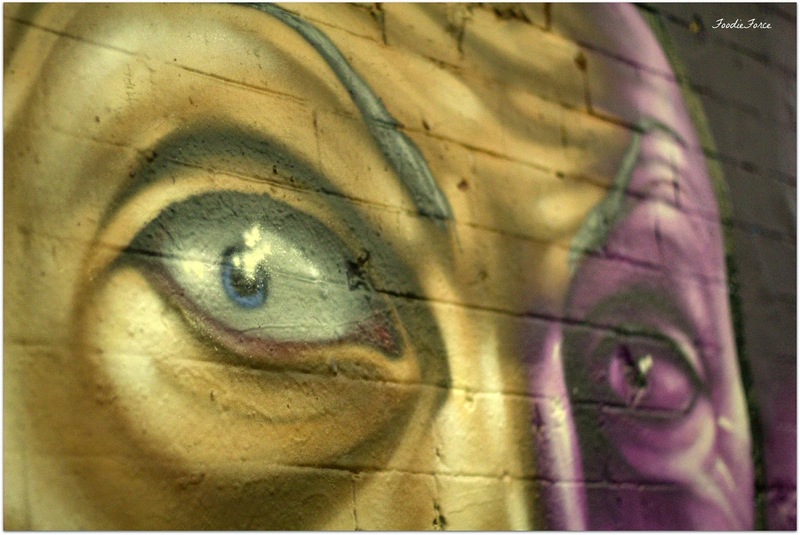 Graffiti can be controversial, with some people arguing it is modern day art and others seeing it as antisocial vandalism. For me the picture at the start of this post says it all. Some people will adore the creativity of others expressed in graffiti, but for some it will be something you just have to endure. Banksy and Ben Wilson satirical urban artists have gone some way to make graffiti acceptable and even desirable. Check out the YouTube clip below to see Ben in action. How many of us really look at and appreciate our surroundings? What is under our feet? 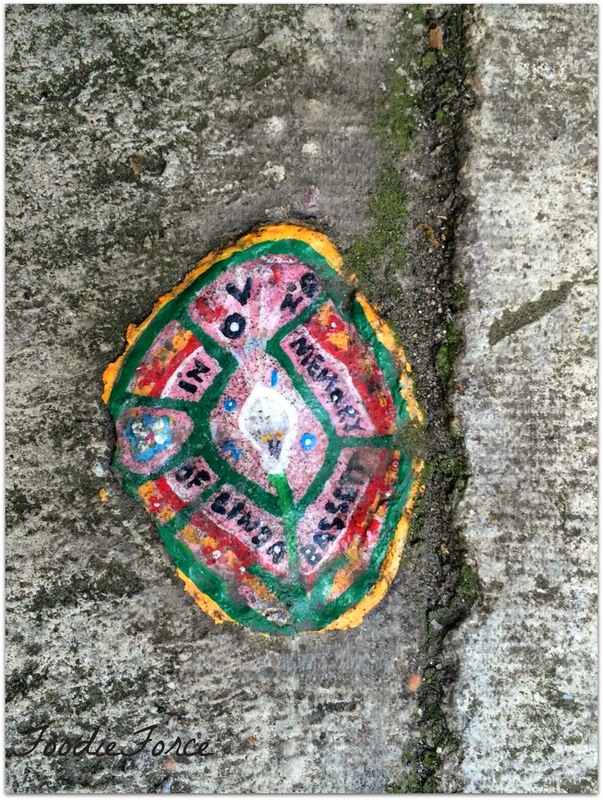 Ben paints onto chewing gum that other repugnant people have left behind. 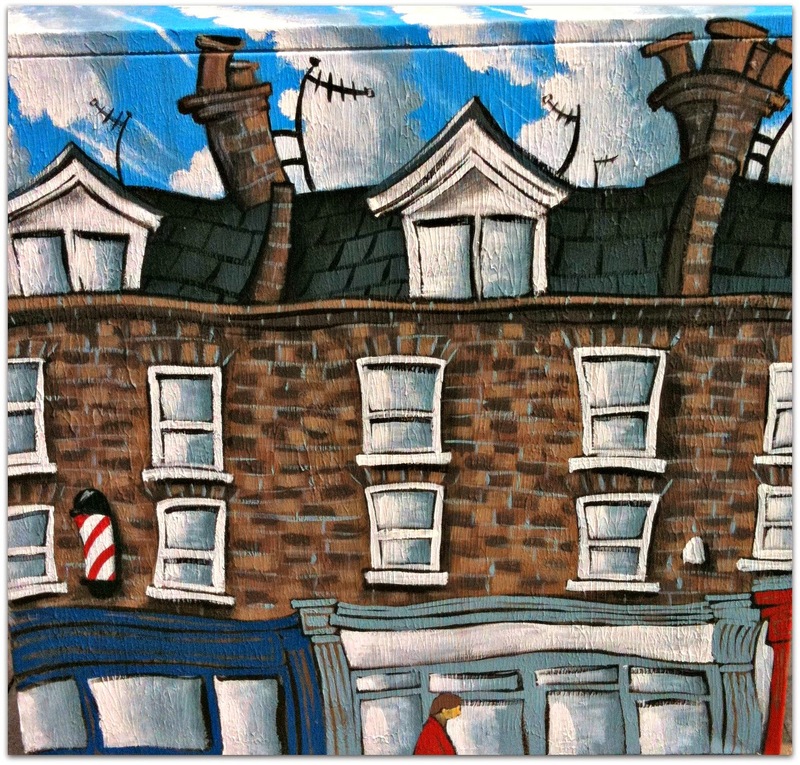 Trying to find some of Ben's art work in London is good fun. It is a bit like finding 'Where's Wally'. 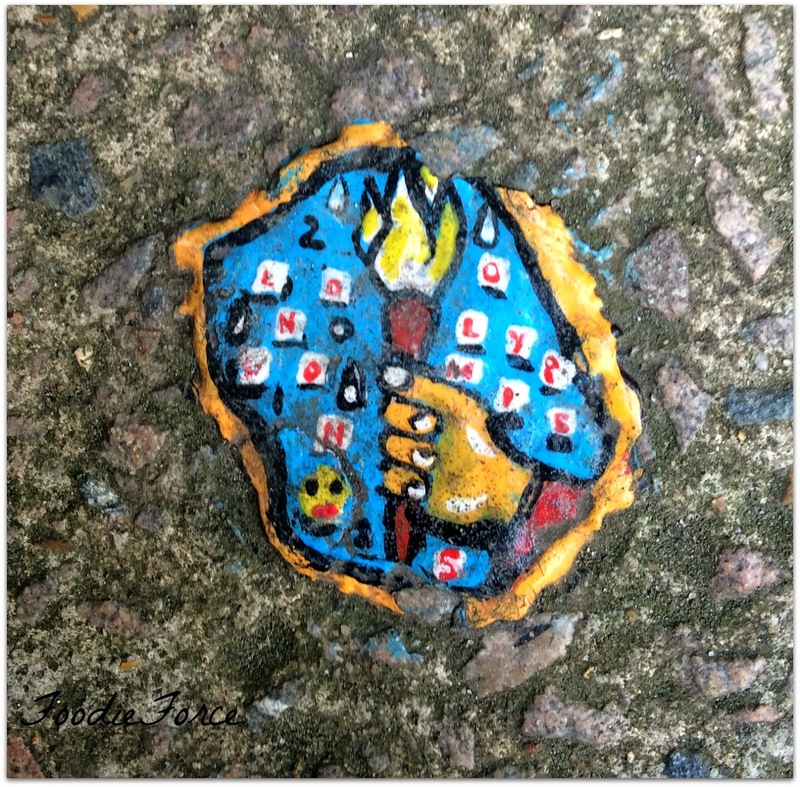 Here are a few art works I have spotted in Whitecross street (near Old Street London). I personally hate chewing gum, being spat out on the floor, so some poor unsuspecting person can stand in it. For me this is a clever reinvention. 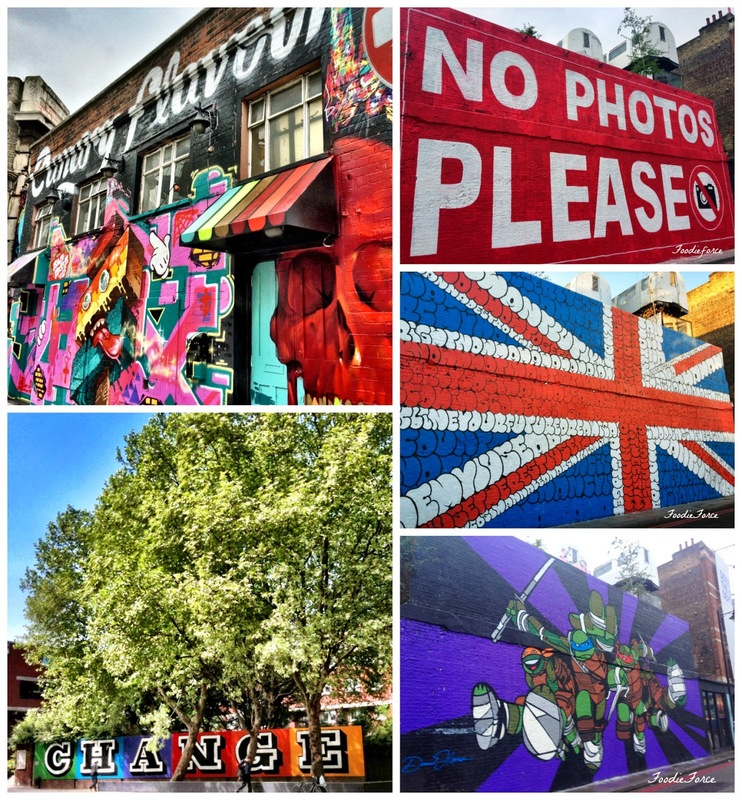 If you decide to go graffiti hunting don't forget to look up Whitecross Street which houses one of the best food markets in London. 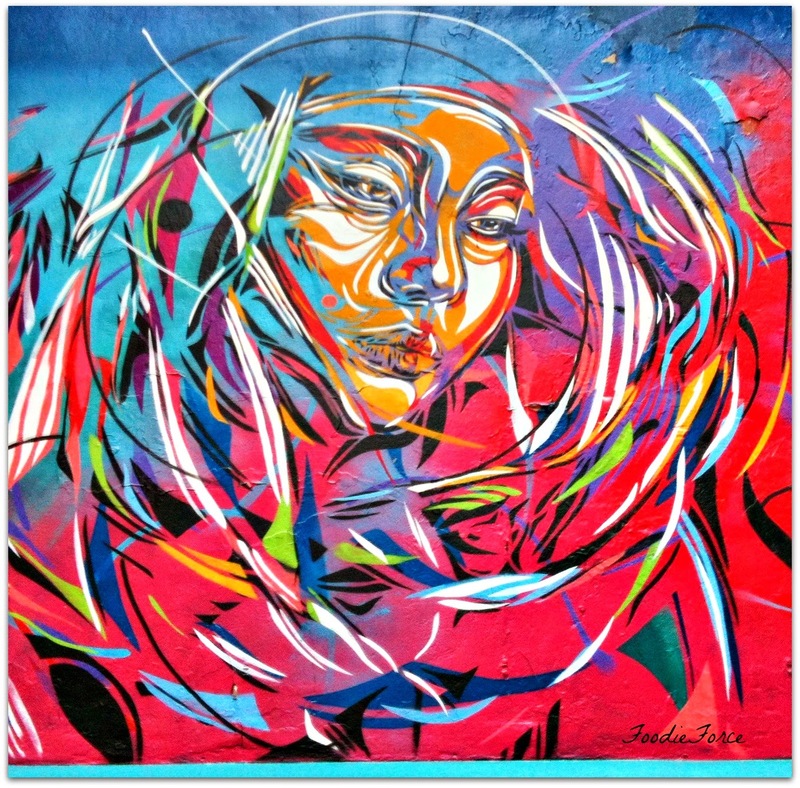 They will be holding a street art and food party on the 19th - 20th of July. Not to be missed, so make sure you pop along. 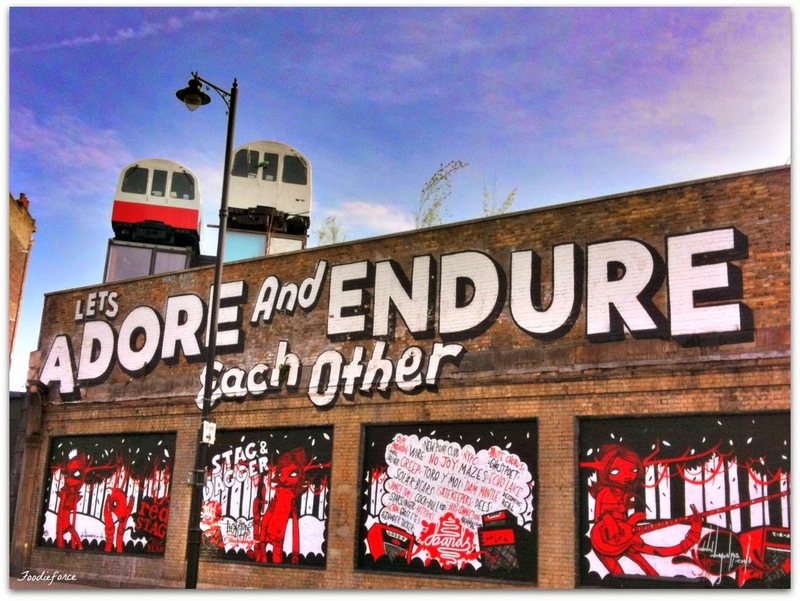 I love photography and enjoy taking pictures of street art especially in East London (Shoreditch). For me, if the person has permission and it brightens up what otherwise would be a derelict space then great. For me those that do graffiti are hugely talented. 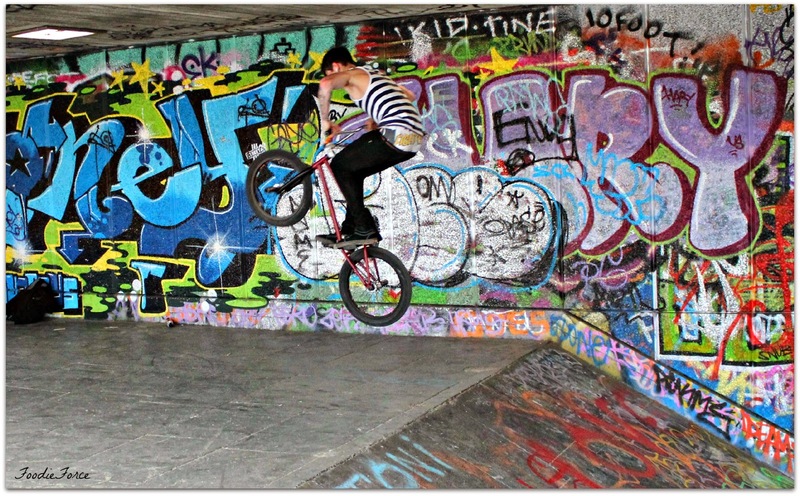 I love nothing more that visiting the south bank and "Banksy Tunnel" in Leake Street Waterloo and taking pictures. 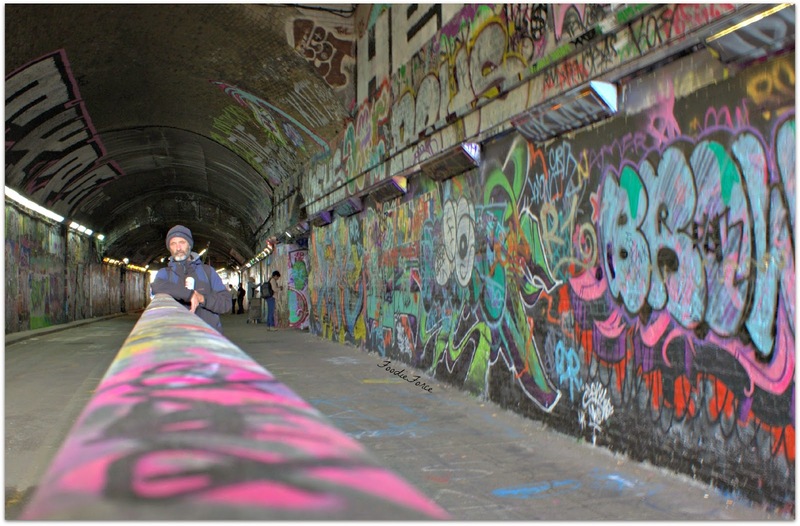 The tunnel is home to legal graffiti art. This tunnel has formed many a famous magazine photo shoot and stared in a few films. 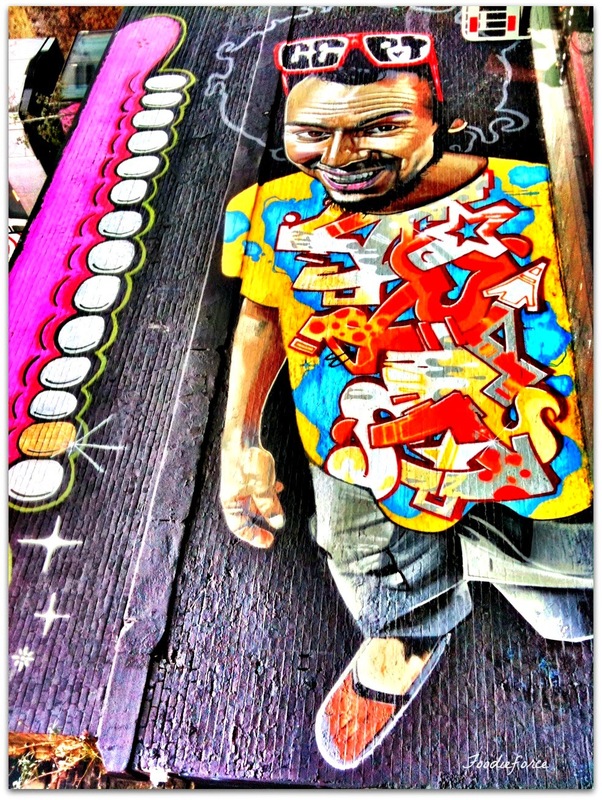 It is the modern day art gallery, where the work changes all the time and graffiti artists can cut their teeth. If I get enough I will do a post and share them. Hi, I love your blog and I have started following you with Bloglovin. If you ever get a chance to check out my blog I would be delighted, thanks! I love graffiti when it's done like this! Actually art with thought put behind it, not just mindless scribbles. It's so surprising how most of it is actually inspiring, when you think of graffiti I usually imagine something done just to deface something! Love graffiti art. Emphasis on the art. When it is political rants....not so much. This is all very lovely. Great post Lucy!